In this interview with Alan Porter, Senior Digital Publishing Consultant for PTC, we discuss his new book, The Content Pool, which explores the most important hidden asset in your company, your content. We have a Chief Executive Officer and a Chief Financial Officer; why don’t we have Chief Content Officer? TCW (The Content Wrangler): Hi Alan, thanks for taking the time to speak with us today. Tell us a little bit about yourself and what you do. AJP (Alan J. Porter): Thanks, it’s always a pleasure to be involved with The Content Wrangler. I tend to describe myself as a Content Strategist and Writer. Currently I am engaged as a Senior Digital Publishing Consultant for PTC focused on the Federal, Aerospace & Defense industries, helping companies in that space define new ways of delivering their service information. I also have a technical and business communications consulting company, 4Js Group LLC, that specializes in applying creativity to meeting business needs and growth. I also write books, comics, magazine articles, as well as columns for a couple of websites. While some of my writing is technical and business related, such as The Content Pool, I also enjoy writing about various pop-culture subjects. For instance, I am currently writing a book about James Bond, as well as scripting a new comic book series. TCW: Can you tell us about your new book, The Content Pool, which is coming out soon from XML Press? Create a product through research, design and production. Tell people about what they do through marketing. Collect money for it through the finance process. And, all the way through the other four processes, they are creating content. The first four activities are usually managed at a senior executive, or even a CXO, level, yet the content is generally ignored. The aim of the book is to hopefully raise awareness of content as a strategic business asset by showing its value and how, if properly planned and managed, it can add to the growth of a business. TCW: Who do you see as the audience for The Content Pool? AJP: The book is designed to appeal both to those who produce and manage content and to senior executives who may not yet be aware of the value of what they produce. It is intended to both educate and inform, in what I hope is both a useful and entertaining manner. TCW: What makes The Content Pool different from other books on Content Strategy? AJP: I’d like to think the book gives a somewhat more holistic overview of content across an organization. It also provides a lot of story-driven practical examples, rather than just presenting theories and process ideas. In many ways it’s a culmination of my twenty-plus years working in various aspect of content development, from technical publications, training, marketing, professional services, sales, as well as business process. 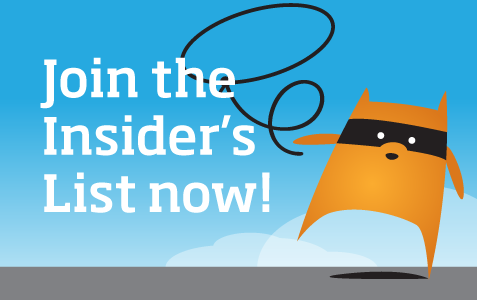 TCW: In The Content Pool you make the case for having a Chief Content Officer (CCO). What are the attributes of a CCO, and why do you think one is so important? AJP: If you have invested the time to understand your content as an asset and have developed a strategy to leverage it, then it needs to managed. Once you have business strategies, processes, goals, and key performance indicators assigned to the design, development, and distribution of your content, then someone needs to be accountable for ensuring those goals are meet and that the investments deliver the expected return on investment. As mentioned earlier, the other four key activities, design, marketing, sales, and finance, all have executive-level accountability and oversight, so why not content? If your organization’s intellectual property is contained in your content, then it is arguably just as important as the other four activities, if not more so. After all, where is the true worth of an organization if not in its intellectual property – the thing that makes it different from any other organization. To protect and manage that, you need a content strategy, and for the content strategy to be truly effective it needs to be holistic and encompass the needs of the company as a whole. The broader the view, the higher the accountability, so in my view the ideal would be to have a Chief Content Officer with that level of accountability. 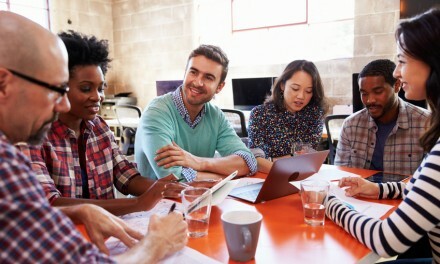 The CCO would need to have that holistic view of content across the organization, deeply understand its value, be able to match the content strategy to the need and goals of the business, and be entrepreneurial enough to see how content can be leveraged to contribute to the bottom line. TCW: When will The Content Pool be available? AJP: The Content Pool will be officially launched at the upcoming Intelligent Content Conference in Palm Springs in February. As well as the regular edition, we are looking at doing a special limited edition with some additional exclusive content that will only be available at the conference. During the conference itself, I will also be participating in a panel on “Making the Business Case for Innovation,” during which I am sure we will be discussing many of the ideas covered in the book. 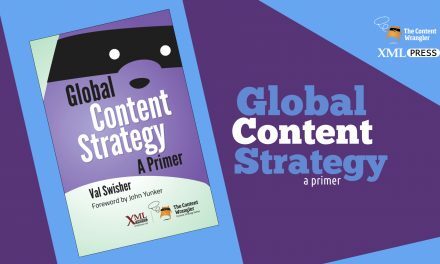 TCW: One of the things that struck me about your earlier XML Press book, WIKI: Grow Your Own for Fun and Profit, was the many stories from your experiences working with companies on their content strategy, and I know you’ve got more in The Content Pool. 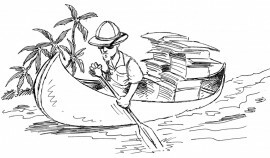 One that I found particularly interesting was the one about a company that paid for the hire of a boat every month to deliver their service documentation along a jungle river. Can you talk about how that one came about? AJP: As anyone who has heard me speak will know, I am a storyteller. I believe that story telling is the most effective form of communication. We remember stories much better than we remember facts and figures. That particular story came about from a throw away remark during a meeting with a consulting customer. We had been working on developing some metrics around the actual cost of producing their service information, which by the way is an essential part of demonstrating the value of content to senior executives – you have to be able to talk in terms of the finances involved. As the conversation was winding down someone mentioned the cost of delivery. This particular company had already shifted from hardcopy to digital delivery, but they were still physically shipping sets of DVDs around the world. When we calculated the actual cost of postage, customs forms, tariffs, taxes, etc., they were literally spending millions of dollars just getting the information into the hands of customers, and even a small increase in postage rates would cost them a lot of money. I was told of one DVD set that was delivered by hiring a boat and boatman each month to get the DVDs to a customer located along the shore of a jungle river. As one of the senior managers observed: if nothing else, the fact that the company was prepared to make such a large effort to ensure this customer had the latest information proved the value of the content. TCW: Another great thing about both this book and the WIKI book is the illustrations. In fact, we have posted a couple of illustrations with this interview. Can you tell us something about the illustrator? 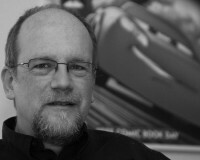 AJP: Doug Potter is a well-known book illustrator and comics artist here in Central Texas. He and I met at an annual literary science-fiction convention, and I hired Doug to work on an educational comic book project I produced for the University of Texas. We found that we really enjoyed working together and are now working on a fairly ambitious graphic novel together. While I was working on my WIKI book I thought it would be fun to have some cartoon illustrations for each chapter, and Doug seemed the obvious choice. XML Press publisher Richard Hamilton liked his work so much that we ended up also using one of Doug’s cartoons on the book cover. When we started working on The Content Pool, we wanted to keep a similar look to my XML Press books so getting Doug involved again was a no-brainer. The cartoons he has been turning in this time have been great. Each time I get an email saying he has uploaded a new sketch I immediately go take a look, and each time they put a big smile on my face. TCW: Well, it looks like we’re out of time. Thanks for making time to chat with us about The Content Pool. It’s certainly a book that I recommend. AJP: Thanks, Scott. As always, it’s been a pleasure. I’m looking forward to seeing you at Intelligent Content 2012. 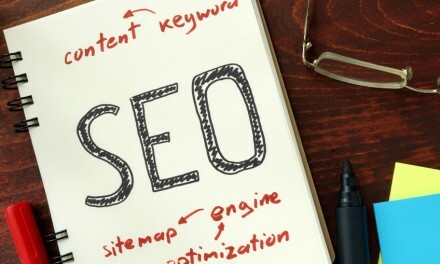 Your Content Strategy: Is it Feasible?